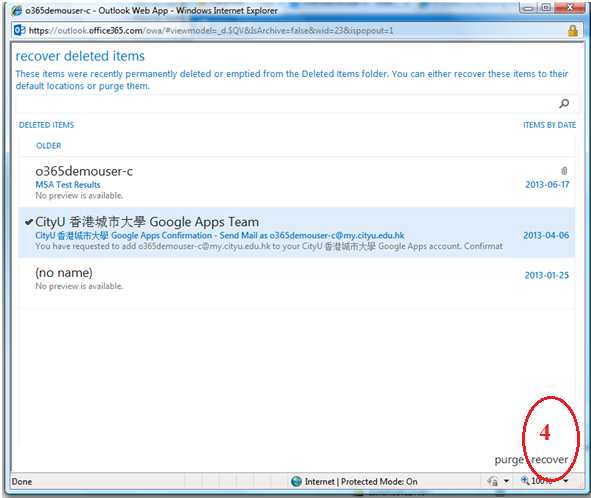 How to get back the items that I have deleted in my O365 mailbox? When you delete an item (email message, calendar entry, contact, task, etc.) 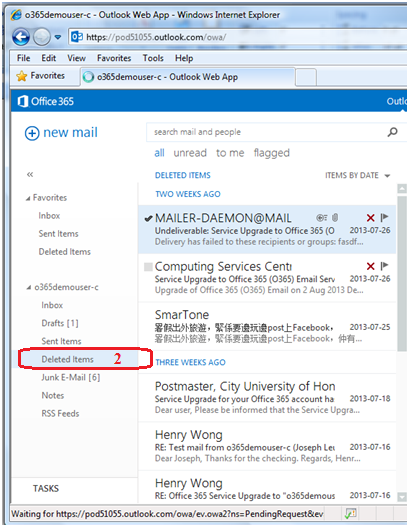 from your O365 mailbox, the item will be moved to the Deleted Items folder of your O365 mailbox. Therefore, if you want to get back the deleted item, you should first check if your concern item exists in the Delete Items folder or not. If it is there, just simply move it back to Inbox or other folder you like. 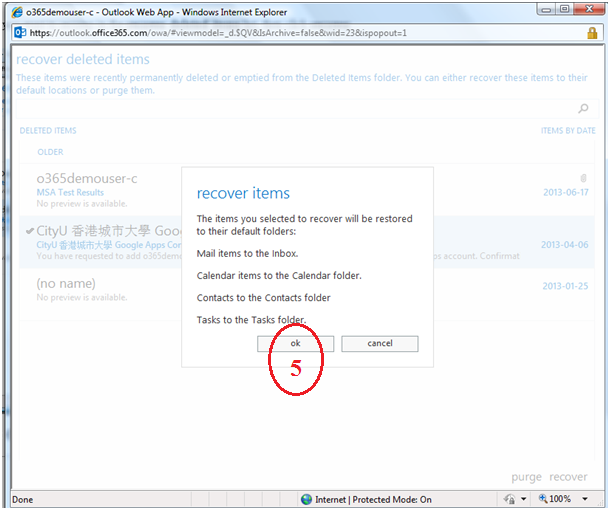 If your wanted item cannot be found in the Deleted Items folder, you can use the Recover Deleted Items function provided in Outlook Web App (OWA) (or Microsoft Outlook for advanced users) to get back the item within 14 days. 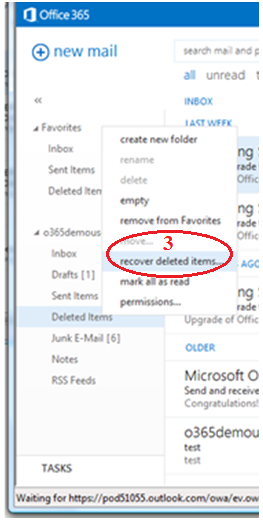 Reminder: Only those items deleted/purged from your O365 mailbox within 14 days can be recovered.